Situated near the bay, this bed & breakfast is within 1 mi (2 km) of Paradise Beach Reserve and Saint Georges Basin Country Club. Vincentia Marketplace and Vincentia Shopping Village are also within 6 mi (10 km). 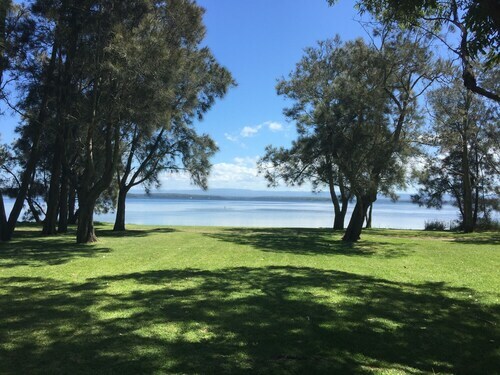 Situated in Sanctuary Point, this campground is 0.9 mi (1.4 km) from Paradise Beach Reserve and 1.3 mi (2 km) from Saint Georges Basin Country Club. Vincentia Marketplace and Collingwood Beach are also within 6 mi (10 km). 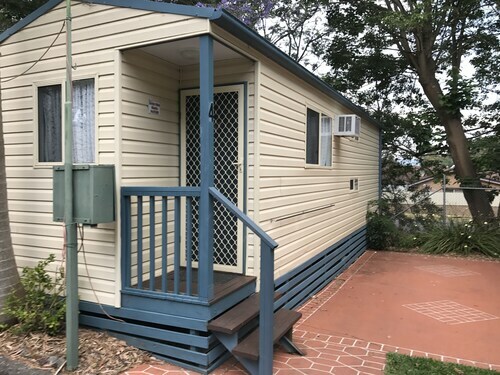 Situated in Sanctuary Point, this motel is within a 15-minute walk of Saint Georges Basin Country Club and Paradise Beach Reserve. Hyams Beach and Vincentia Marketplace are also within 6 mi (10 km). Nestled on the beach, this Sanctuary Point apartment building is 1.1 mi (1.7 km) from Paradise Beach Reserve and 1.4 mi (2.3 km) from Saint Georges Basin Country Club. Collingwood Beach and Nelsons Beach are also within 6 mi (10 km). 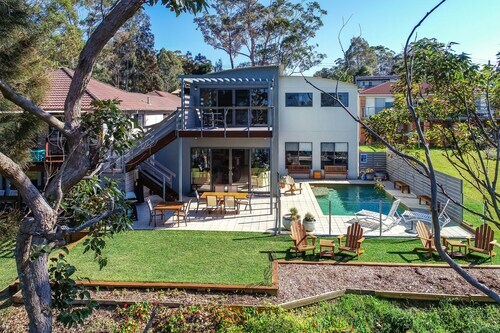 Are you wanting to find a nice neighbourhood in Jervis Bay? Sanctuary Point is situated 8 kilometres northwest of the city's centre. Enjoy a few hours of recreational activities, or meet with a friend for a chat at Saint Georges Basin Country Club. 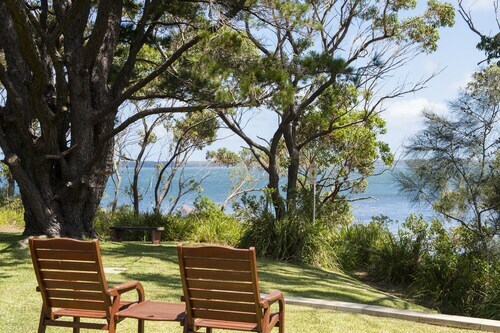 If you'd like to sleep nearby, try the Paradise Bungalow and Worrowing at Jervis Bay. Relax and listen to the sounds of the sea at Paradise Beach Reserve. For this attraction, try The Edgewater Bed & Breakfast and By the Beach B&B and Apartments. The Pelican Waterfront Cafe & Restaurant makes for a great shelter on a rainy day in Sanctuary Point. Unwind with a good book or just while away the afternoon with friends over some coffee and cake. 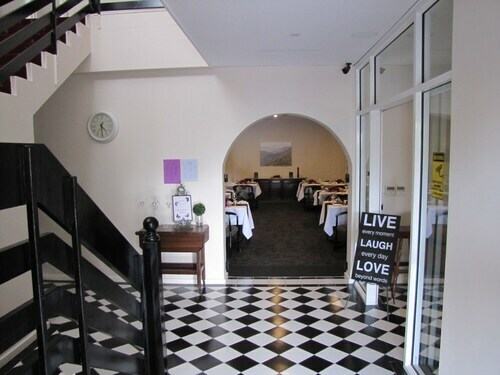 When your stomach starts thinking about dinner, go and take a look at Greville Point Cabin. The main courses may be delicious, but don't forget leave room for dessert! It's worth considering staying in Erowal Bay or Vincentia when organising your Sanctuary Point adventure. Erowal Bay is only 3 kilometres from Sanctuary Point and Vincentia is around 5 kilometres away from Sanctuary Point. From flights to accommodation, activities to car hire, Wotif is ready and waiting to make your Sanctuary Point daydreams happen! How Much is a Hotel Room in Sanctuary Point? Hotels in Sanctuary Point start at AU$127 per night. Prices and availability subject to change. Additional terms may apply. Awesome place, will not disappoint. Graham was first class! Updated and nicely decorated studio in quiet residential area very close to the water. The breakfast hamper was very generous and breakfast by the water is a must. Similarly, a bottle of wine watching the sun set into the water is a winner! We didn’t realise from the photos that the studio was part of the owners residential home but they were very nice and welcoming and otherwise let us keep to ourselves. The lack of a bathroom door so close to the bed meant a new level of intimacy and necessitated a code-word for a little privacy & to keep some romance in the relationship. Bed was very comfortable and overall a sweet studio. The National Park & famous Hyams Beach are great for beach and hiking day trips and there are some great restaurants in nearby Husskinson.